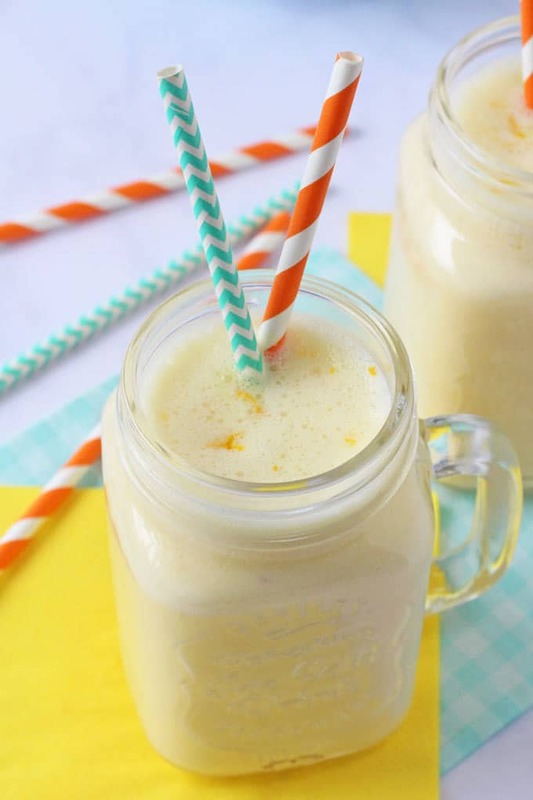 Packed with Vitamin C, this creamy Sunshine Orange Smoothie recipe will put a spring in your step come rain or shine! 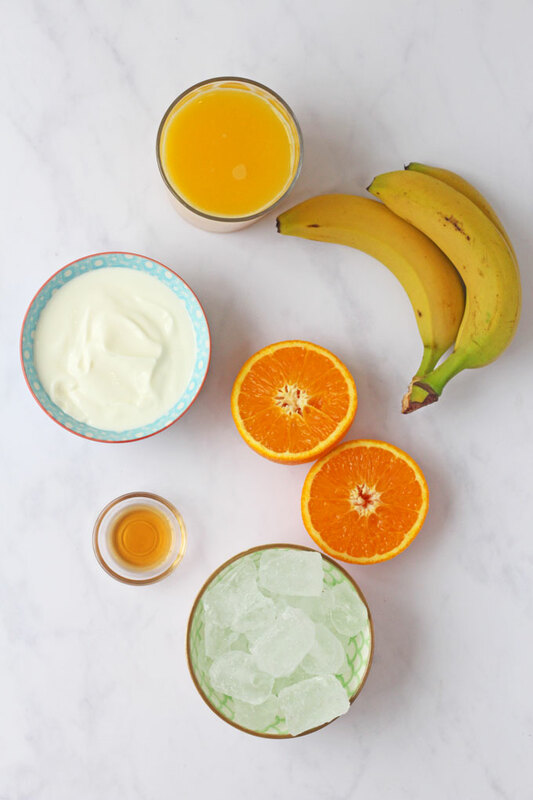 At this time of year you really can’t beat a delicious refreshing smoothie, served up first thing in the morning as part of breakfast or even as an afternoon snack. My recipe for this smoothie is so easy to make using a handful of simple everyday ingredients that you probably already have in your kitchen. I often think that fruit juice, and in particular orange juice, has got a bit of a bad rap lately and many parents are unsure whether they should be giving it to their children at all. My approach to fruit juice is the same as most foods; balance. Fruit juice should never replace water and shouldn’t be a child’s only or main source of hydration but there’s nothing wrong with a small glass a couple of times a week. Yes fruit juice does contain sugar (albeit natural occurring sugars) but it can form part of a perfectly healthy and balanced diet for your children if consumed in moderation. 1. 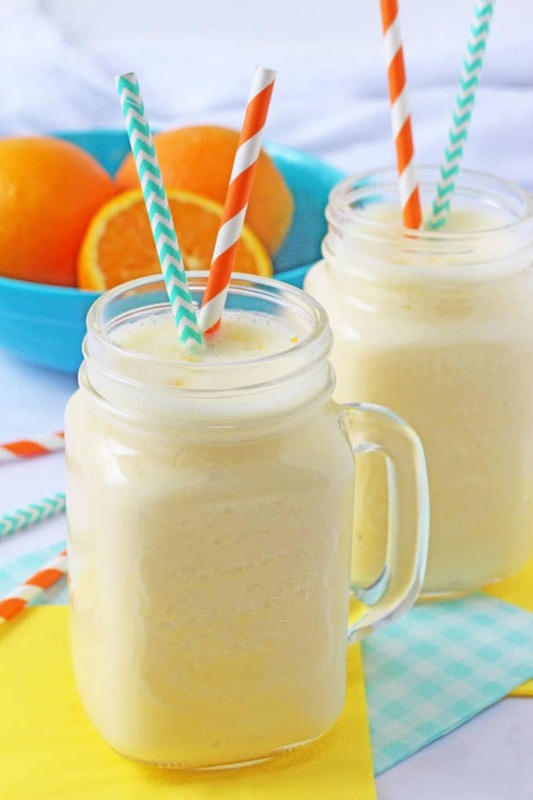 This Orange Smoothie is rich in Vitamin C, which is essential for helping the body to fight off free radicals and also helps to absorb other nutrients such as iron and calcium. 2. Whole oranges and bananas are a great source of fibre, something which children are often lacking in. 3. 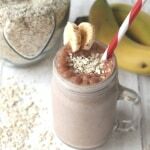 Bananas are also an excellent source of potassium, calcium, magnesium and manganese and add lots of sweetness to this smoothie without the need for sugar or any other added sweetener. 3. By using Greek or another high-protein yogurt, you can easily boost the protein levels of this smoothie which will help to keep you fuller for longer. 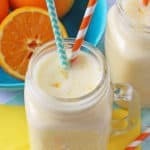 Here are a few tips for making my Orange Smoothie, along with some substitution suggestions too. 1. The yogurt can easily be replaced with a plain non-dairy yogurt, such as soya yogurt or coconut yogurt. 2. For a slightly thicker and creamier texture use a frozen banana. 3. If you want a stronger orange taste add in a little grated zest of the orange peel. 4. This smoothie will keep in the fridge for 12 hours but as with all smoothies it is best enjoyed straight away. 5. If you have any leftover freeze it in popsicles molds! If you try my Orange Smoothie recipe please do leave me a comment and a star rating below. You can also share your pictures with me on on Instagram or Twitter. I always love to see your creations! 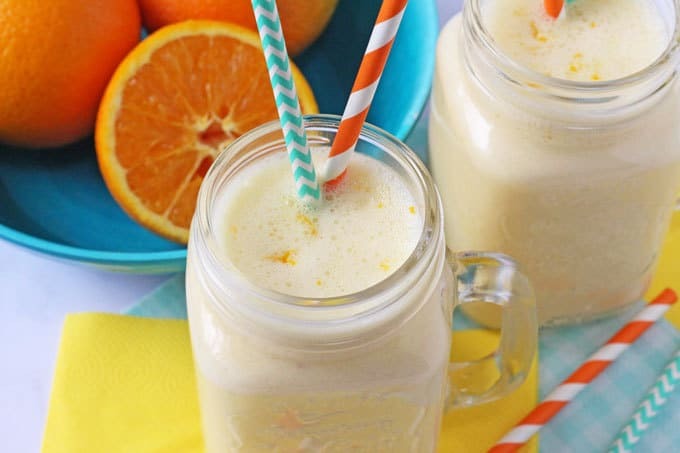 Packed with Vitamin C, this Sunshine Orange Smoothie recipe will put a spring in your step come rain or shine! Peel the orange and add it to a blender with the rest of the ingredients. Blitz until smooth and serve immediately. This smoothie is best served immediately although it will keep in the fridge for 12 hours. After all the cold weather and illnesses we’ve been having in our household lately this was just the thing we needed to put a spring back in our step. Really good! Does this keep in the fridge at all? This looks yummy but it’s always nice to have something sitting in the fridge for later in the day! 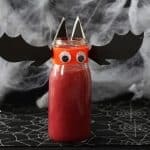 Although after browsing your site for just 10 minutes I want to make one of everything and eat/drink straightaway! Ha ha, that’s always my problem. I want ALL the food! Yes when I made this smoothie I kept half in the fridge for 24 hours. It may start to separate a bit but a good shake should sort that out! 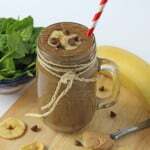 My two littlies took turns keeping me up all last night, I’d spotted this smoothie on your website a while back so gave it a try this morning. A much better wake up beverage than my usual coffee – feeling much better now! It really is the best pick-me-up after a long night up with the kids! So glad you enjoyed it!